£1 million gets your property shown in more searches. At £999,999 on Rightmove, your property will only appear in searches up to £1 million. At £1,000,000 straight, it appears not only in searches up to £1 million, but also those over: potentially doubling traffic to your property advert. After all, as my Dad would have said, “Look after the pennies, and the pounds will take care of themselves”. What to read next: Dropping your asking price isn’t the answer! 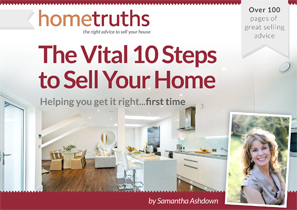 Speak to Sam: If your home is not selling and you’d like to know what you can do about it, drop me a line at [email protected] with your Rightmove link, and I’ll tell you if and how I can help you.